Debuting in the original Star Wars, Jedi have since become one of the most interchangeable words for "hero" in pop culture, given their devotion to maintaining the balance of the Force and thwarting the treacherous Sith at all costs. Sci-fi films regularly feature their fair share of heroic characters, yet it was the philosophical and religious elements of the Jedi that continue to make them such iconic characters to this day. What makes the Jedi so inspiring is that, more than their physical abilities, their devotion to doing what's right is what gives audiences something to emulate, as no matter what our physical forms can accomplish, our minds can devote us to a set of ideals in hopes of eradicating evil from the universe. Although we might not have the same lightsaber skills, their persistence to stop evil inspires all of us in our day-to-day struggles and reminds us the benefits of devoting yourself to a cause. Whether it be through their heroics in battle or the wisdom they impart, check out our picks for the best Jedi! Admittedly, the argument can be made that Anakin Skywalker is actually the worst Jedi of all time, which wouldn't be entirely correct, but it's hard to ignore the ways he helped push the Jedi forward before, well, almost completely destroying them. Prior to these dark times, Anakin was a powerful Jedi who used his powers for good on countless occasions, regularly proving to be a pivotal component in various battles throughout the Clone Wars. Anakin may have been rebellious and oftentimes ignored orders from Obi-Wan, but he almost always secured victory in surprising ways. Sadly, Anakin did the one thing you're not supposed to do as a Jedi, which is become a Sith and execute every Jedi you encounter, but before his days were numbered, he managed to tap into his more heroic nature and kill Palpatine, helping bring an end to the Galactic Empire. 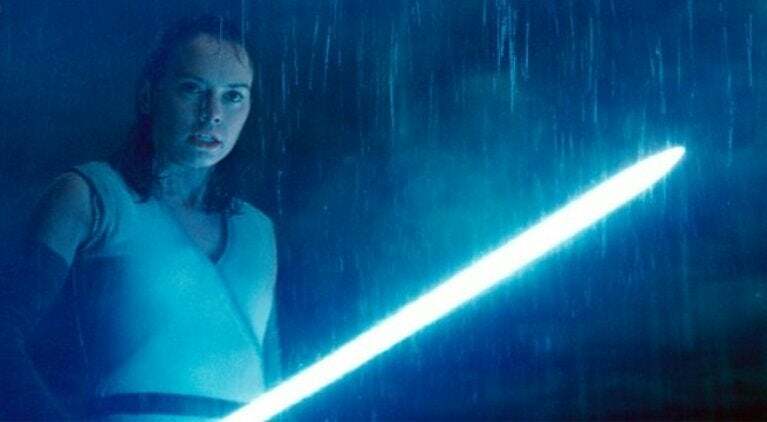 Rey has a long way to go to prove herself as one of the greatest Jedi in the Star Wars saga, yet one of her strengths has been not murdering Jedi, which helps her take top billing over Anakin. Prior to realizing her abilities with the Force, Rey struggled to survive the wastelands of Jakku, teaching herself how to fight and fly a variety of ships. During her first conflict with Kylo Ren, her Force abilities cranked up her natural abilities strongly enough to overpower Kylo, if only briefly. In The Last Jedi, Rey challenged the "all-powerful" Luke Skywalker to remind him why it's necessary to take down the Resistance, inspiring him to leave his ego behind. After only these two films, we are sure that Rey has much more in store for us than we could have predicted. Much like we can't hold Anakin in too high of regard, we still somewhat have resentment towards Qui-Gon Jinn for discovering the boy, but, hey, pobody's nerfect. Heading into The Phantom Menace, fans already held Obi-Wan Kenobi in high regard, which automatically made us appreciate Qui-Gon for being his Master, knowing how many lessons he must have imparted on his Padawan. The events of the film solidified those beliefs, as Qui-Gon proved to be wise and sophisticated, yet had no problem using his Jedi abilities on games of chance and never hesitated to enter the fray. Sadly, our time with Qui-Gon was brief, but we enjoyed seeing his legacy through Obi-Wan's actions. 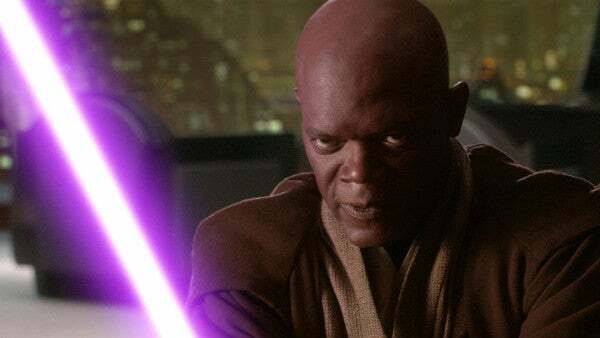 From the first time we saw Mace Windu ignite his lightsaber and noticed its purple hue, we knew that he was a Jedi like no other. As a member of the Jedi Council, it was easy to see that Windu was potentially nothing more than a bureaucrat who was held with as high esteem as Yoda, only for Attack of the Clones to change that perception and show how effective Windu was in combat. Not only did audiences witness Windu defeat the villainous Jango Fett, but we also watched him best Palpatine in Revenge of the Sith, only for Anakin to intervene as one of his final acts that would solidify his status as a Sith. Windu is easily one of our favorite characters in the prequel trilogy, and we hope to see more of him in some way, shape, or form. Introduced in The Clone Wars, audiences have seen Ahsoka Tano's journey to become a Jedi Master in ways we haven't witnessed with other characters, as she evolved over six seasons in her debut series and reemerged in Star Wars Rebels. In some ways, Ahsoka is a better example of Anakin Skywalker's legacy than Luke, as Anakin's biological son had little interaction with him once he had become Lord Vader. Instead, Ahsoka highlighted Anakin's strengths while showcasing her own independent spirit, even if it meant turning her back on the Jedi Order. Once Ahsoka reemerged on Star Wars Rebels and collided with her former Master, it was one of the most emotional sequences of the saga thanks to Ahsoka's courage in the face of certain doom. An excellent pilot? You bet! A skilled swordsman? No doubt! An exemplary Jedi? Well, not so much. 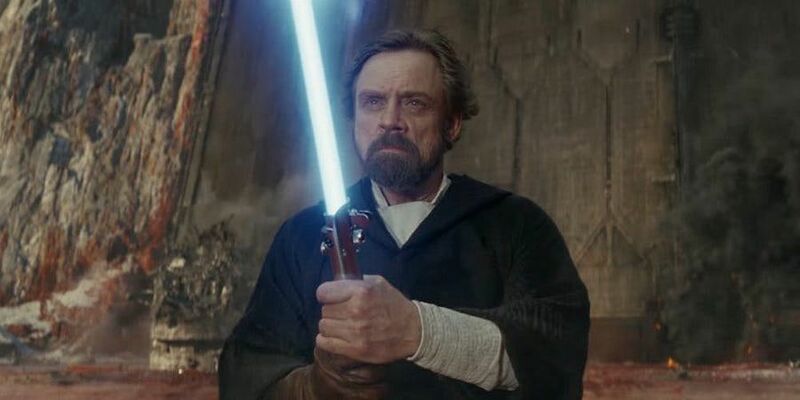 There's no denying that Luke might be the greatest hero in the Star Wars saga, but when it comes to his strengths as a Jedi, there's certainly room for improvement. With The Empire Strikes Back, Luke knew he had to seek out Master Yoda for training and, upon arrival, regularly ignored Yoda's advice. He brought a lightsaber into the cave and aborted training when he thought his friends were in trouble, only to get his hand cut off and jump into a ventilation shaft on Cloud City. Return of the Jedi depicted a wiser Luke, only to eventually cave into his anger and his hatred during the film's final conflict against Vader and Palpatine. The Last Jedi solidified Luke as a fallible Jedi, having not only failed at training Ben Solo and various other young Jedi, but also revealed that he turned his back on the organization after his own failures. Luckily, Luke did redeem himself before his passing, yet it's hard to overlook his stumbles along the way. Our initial impression of Yoda was a frail old creature who was reluctant to impart his wisdom on the brash Luke, making the Jedi a far-cry from what we had expected to see of a Jedi Master. As Yoda himself says, "Wars not make one great," going on to surprise not only Luke, but audience members as well. Understandably, Yoda has often been considered one of the wisest characters in cinema, as nearly every perplexing statement he has made became applicable to some of our daily struggles. As if Yoda's brain wasn't enough to make him an impressive Jedi, the prequel films allowed the icon to demonstrate his acrobatic abilities, taking on both Count Dooku and Palpatine in epic battles. 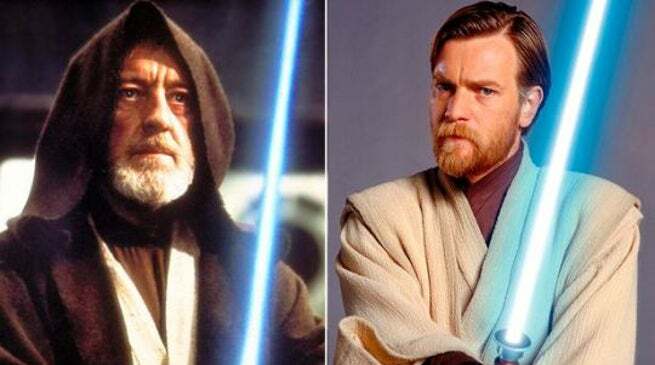 Our time with Obi-Wan in the original trilogy was brief, which is just another testament to Kenobi's allegiance to the Force, allowing himself to be struck down by Vader to be a better ally to Luke in his Jedi development. Similar to Yoda, the original trilogy of films focused mostly on Kenobi's wisdom, regularly imparting advice on Luke to help him achieve his goals. Our entire perception of the character changed with the prequel films, giving us not only a Jedi who still had much to learn in the ways of the Force, but also gave us a fierce warrior who took down the likes of Darth Maul, General Grievous, and Anakin. Over the course of six films and two animated series, Kenobi set the standard for what a Jedi could be, with his bravery and wisdom giving us all something to aspire to.